Bongs have been used for thousands of years to ingest the active ingredients of cannabis. 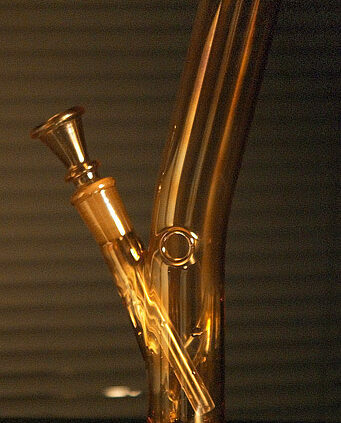 Based on the principle of sucking smoke through water to cool and cleanse it, using a tubular mouthpiece attached to a bowl. Many coffeeshops provide bongs and pipes for public use or you can bring your own. If you’re unsure about how to use something the staff can help you, if they’re not too busy. Try and remember to clean the mouthpiece before use, and if you want to pick up some extra kudos with the staff, offer to clean the bong you just sucked on. We do not recommend smoking bongs and large pipes in the street, but some larger parks may provide the perfect spot, using a sense of discretion and having respect for others around you at all times. Cannabis is used around the world to transform well known dishes and snacks into totally new gourmet experiences. From gummy treats and cannabis laced candy, to pot pizza, flying lasagna, ice cream and cookies. The term ‘edible’ is a slang term used among the cannabis community to denote ‘an edible cannabis product’. 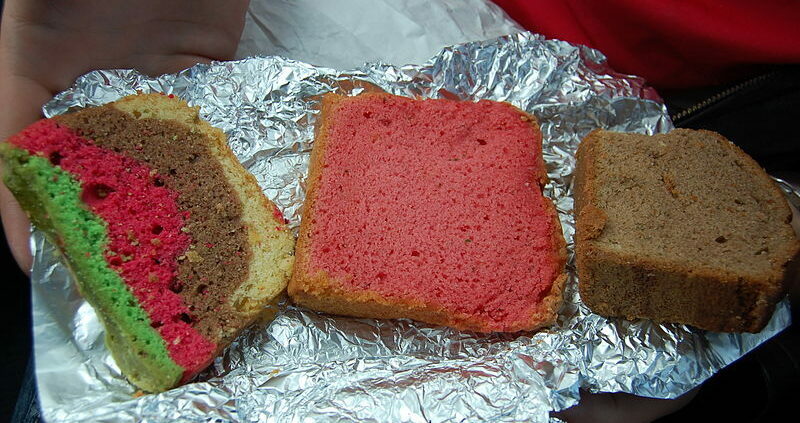 A small variety of ‘edibles’ are available at coffeeshops in the Netherlands, these include a standard slice of cake, or a muffin, usually in vanilla or chocolate flavors, and a variety of colors. 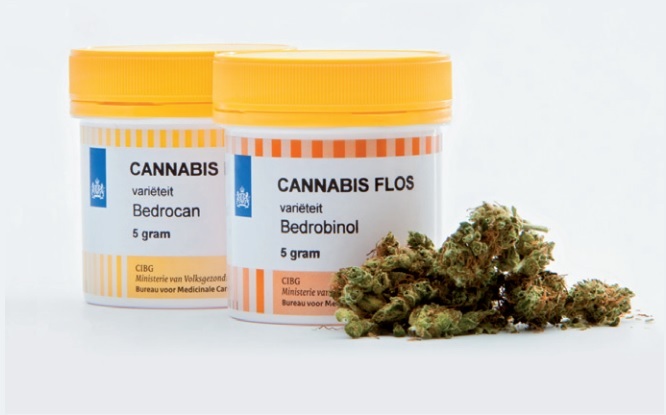 All ‘edibles’ in the Netherlands come with a label clearly indicating the amount of cannabis inside, which can range from 0.2 – 0.8 grams per item. The dose is calculated to produce effects which can last between two and four hours. Please remember that edible cannabis is processed via your digestive system into the bloodstream, so what you ingested before and during the experience can have an effect. The experience is stronger on an empty stomach, and weaker after consuming foods high in sugar, which can be handy to remember if you want to return from orbit sooner. The experience usually takes between 20 and 40 minutes to begin, compared with smoking which can be felt only a few seconds after inhaling. Take it easy. In the Netherlands the Office of Medical Cannabis (OMC) is the official government bureau that oversees the production and distribution of medical cannabis. It has a monopoly on all cannabis trade, import and export, and can decide on special exemptions to the opium act. Within the Netherlands OMC distributes exclusively to pharmacies, pharmacy holding GPs, hospitals and veterinarians. Outside of the Netherlands they can also deliver depending on strict agreements between the associated authorities of both nations. The OMC, in collaboration with the Dutch Health Inspectors, also supervise to ensure the medicine is not used illegally. Unlike the situation in America, cannabis in the Netherlands is prescribed by your local doctor, and picked up from your local dispensary. You’re at the coffeeshop, finally getting high. So now here’s a few tips to help impress the staff, and the customers with further exemplary coffeeshop conduct. 1. Hide your tobacco from sight. Coffeeshops are under strict no-tobacco laws, and can face fines if it’s discovered by city authorities. Maybe remind your friend or neighbor too, hide it bro. 2. Bring back your coffee cups and bottles, and ashtray, to the bar. You’ll be saving staff a trip to clean your table. A general rule of thumb is to leave the table as you found it. 4. If somebody rings your phone, have a little courtesy and take the call outside. 5. Keep the noise down to a minimum. It’s fun to laugh and shout and sing when high, even dance, but please, try to remember that coffeeshops are not booze-bars where you can perpetually scream. Please try to consider the others, way out-there in orbit around you. Cool beans. In Amsterdam there are quite a few places that don’t sell weed yet allow you to roll up freely. Here you can enjoy a toke, and feast your senses on the delights these 420-friendly establishments have to offer. There are coffeeshops in Amsterdam where top-notch breakfast, lunch or diner is served daily, but even more exclusive are the restaurants that don’t sell cannabis, but cater for smokers specifically. A great example is Munchies restaurant where meals are served along with a well packed vaporizer, if you so desire. Beer and buds, whiskey and weed? It’s all possible at Amsterdam’s smoker-friendly bars. In these establishments you can’t buy weed, but they’ll let you roll up. Many bars even have complimentary papers available. For example: The Doors Palace, Batavia, The Wonder Bar, Barnies Uptown, Susie’s Salon, Cafe Soundgarden, Kashmir Lounge, and Lost In Amsterdam. (a word to the wise: keep your cigarettes out of sight in any bars or coffeeshop). Back in the day, most clubs and venues in Amsterdam would let you smoke on the dance floor, but after a new tobacco law took effect, tokers found themselves exiled to the smoking area, together with the cigarette fans. Smoking joints is generally fine in the smoking areas but if you have your doubts, just ask (or smell). It may come as a surprise, but once you’re outdoors in Amsterdam you can smoke weed almost anywhere (with the exception of the Red Light District and Central Station). You can light up at a picnic in the park or during a stroll along the canal, there’s no rule against smoking in public albeit, with common courtesy. In a controversial response to calls for more coffeeshops in Rotterdam, the city’s Mayor recently proposed to auction off licenses. The Mayor told reporters of Dutch newspaper NRC, if possible he would like ”something” to go back to the municipality. Such an auction would be unprecedented in Holland and raises questions concerning the legality of such a move as Dutch coffeeshops are not allowed to make charitable donations to public infrastructure. The nominal cost of a coffeeshop license in Rotterdam is between 500 and 600 Euro. Five Fun Things To Do In Amsterdam Once You’re High. When high in Amsterdam, all things may seem possible. However, we recommend taking it easy at a safe and manageable pace, and perhaps consider one of the following fun, relaxing activities. 1. Visit one of the stunning parks such as Vondel park, the choice location for Amsterdam smokers ever since 1967 when they congregated, talked, smoked, and danced together. Westerpark also provides a tranquil location for a toke over on the west side of the city, with exhibition spaces, restaurants, music clubs and bars only a short distance from the lush green grass. 2. Friday nights at the world famous Van Gogh Museum are changing the way museums are percieved, with a regular programme of entertaining VJ and DJ performances, plus a food and cocktail bar! It’s high brow, but who wouldn’t give their left ear to party at the Van Gogh Museum? Check it out if you get the chance. 3. Take a trip to the the Botanical Gardens, and get to know some of the other species from the plant kingdom in full glory. Take note, if you smoke weed before heading into the butterfly sanctuary there’s a strong chance that beautiful butterlflies as big as bats land on you. 4. Some Amsterdam canal boat rides, with discretion, may overlook you smoking a bomber on the back, where you can gain a uniquely different perspective of the pretty city of Amsterdam, from the water level. If you don’t fancy spending on a canal boat, you can take the free ferry from central station across to the north and back. 5. Amsterdam hosts a large selection of famous festivals through the year, such as the Light Festival, Amsterdam Dance Event (ADE), Cannabis Liberation Day, Roots Festival, King’s Day, Museum Night, and Pride Amsterdam. Hosting in excess of 300 festivals every year, Amsterdam’s festival agenda spans all tastes and genres. No matter the time of year, you can plan your trip to coincide with one of these festivals. https://coffeeshopsamsterdam.com/wp-content/uploads/2015/07/amsterdam.jpg 700 1280 Stefan https://coffeeshopsamsterdam.com/wp-content/uploads/2018/01/Logo_Coffeeshops_Amsterdam-01-300x75.png Stefan2017-06-13 14:12:112017-06-14 12:02:12Five Fun Things To Do In Amsterdam Once You're High. The sun was beaming for the happy festival goers on Sunday at the 9th annual Cannabis Liberation Day festival. Held in the spacious and beautiful Flevopark in the east of Amsterdam, the event proved to be an overall success with a huge friendly turn out, showing a strong example of what Amsterdam cannabis culture looks like, outside of the coffeeshops. New-born babies and grandparents shared the same space together, and the smiles swept from end-to-end of the field in a green sea of happy high people. This was a gathering of the varied cannabis tribes, spearheaded by artists, musicians and cannabis activists. The guest speakers could be heard clearly and the live bands and DJs played nicely with the energy from the crowd. Surrounded by like-minded individuals, fresh food, diverse programming, well presented stalls and good weather, all in all it was a perfect day. Heads up to all the people who made it possible, the clean up crew, and to all the speakers and performers. Traditionally, in some cultures the elderly smoke cannabis. This is reported to help an elder convey knowledge of the tribe’s culture. It turns out that this is not such a bad idea today. 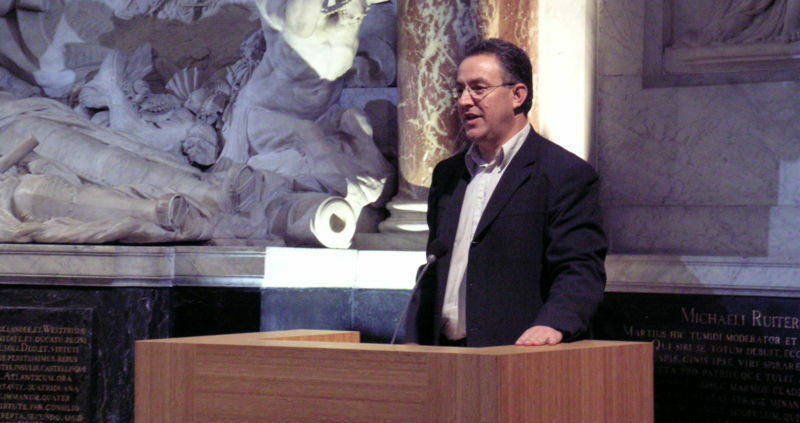 A research group led by Andreas Zimmer of the University of Bonn in Germany, studied the mammalian endocannabinoid system (the indiginous cannabis system in all mammals.) This is involved in stabilizing the stress responses of our body. THC’s effect on this system generally causes us to calm down. Scientists found that mice grow older sooner–with genetic mutations that disrupt the functioning of the endocannabinoid system–than mice that have no mutations. The cognition of mice with genetic mutations also deteriorated at a higher rate, as a result, Zimmer wondered if stimulation of the endocannabinoid system would have an opposite effect. The young mice from the control group that did not receive THC performed much better than the middle and elderly control group mice. 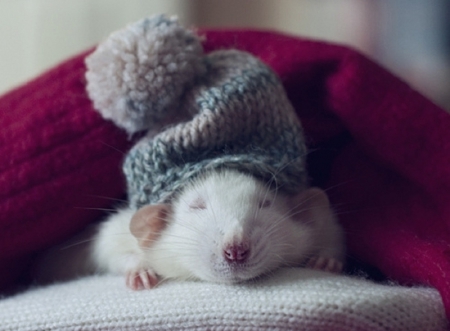 But the middle and older mice who received THC performed as well as the young mice, without THC. Further studies showed that THC stimulates the number of brain cell connections in the hippocampus, a brain area involved with memory. “It’s a striking result,” says Zimmer. Zimmer thinks his results show that too much or too little stimulation of the endocannabinoid system can be harmful. This system is most active in young mice and humans, so the additional stimulation of THC can overload it. Unlike older mice, the activity of the endocannabinoid system is decreasing, so a little bit of THC could reduce the system to an optmum level. The results from the research are not so surprising, according to pharmacologist David Nutt of Imperial College London, who specializes in neuropsychology. Animal studies have shown that the cannabinoids produced in the body have beneficial effects on the brain. Nutt and his colleagues have also found that the use of THC can protect alcoholics from brain damage, caused by alcohol. The Zimmer research team is now planning to conduct studies in humans to investigate whether older people can benefit from a small dose of THC.